"I have a genetic disease called spinal muscular atrophy (SMA). Two parents have to be carriers, and there's a one-in-four chance that they can pass it down. You get it at birth, but my parents noticed I wasn't hitting the motor milestones that everyone else was hitting at my age. They took me to the doctor and I had a genetic test and everything, and they found out that I had it. Then at the same time my little sister, Claire, was diagnosed with it, too. "My parents always instilled in us that 'You're going to get a good job, you're going to go to college,' and I think that's really important. For some people that's not the case. I've just been really fortunate that they've taught Claire and I that we can do whatever we want to do, just in a different way. 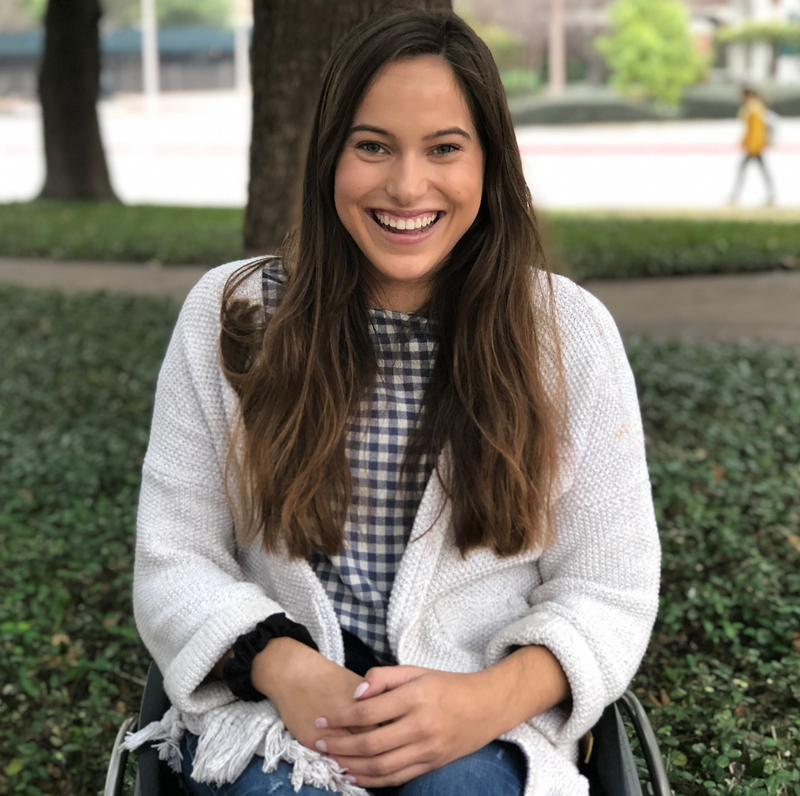 "I really enjoy meeting other families that have kids with SMA, especially younger kids, because it teaches them that they can go do what they want to do and go to college by themselves and it's not the end of the world. "I'm applying to grad school for bio ethics. I think at this point I want to be a clinical ethicist -- do consultations in hospitals about ethical issues, like end of life care and clinical trials and that sort of thing."